Welcome to Plastic Fabricators Manufacturer & Exporter of Machines Used in Pharmaceutical & Chemical Industries Incepted in 1976, at Mumbai, we cater to Chemical, Pharmaceuticals and other industries. With Rigorous quality inspections we are able to serve clients like Cibatul Ltd, Excel Process Ltd & other companies.Our World class quality standards, excellent logistic support and warehousing facility set us apart from others in the industry. We offer a wide assortment of PP, PVC, PVDF, FRP Ducting, Hoods & Blowers to our clients. 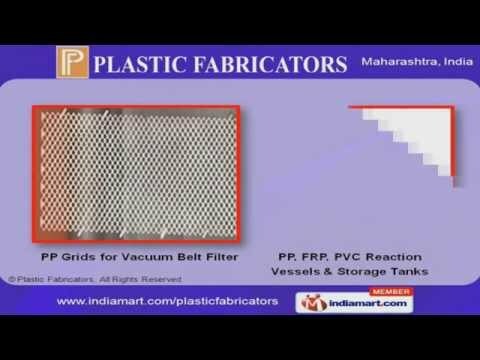 Micron Filtration Plants & Laboratory Fume Hoods offered by us are best in the industry.Polypropylene, PVC, FRP Scrubbers, Equipments / Filters are widely known across industries for their durability & accurate construct. Along with that we offer Reaction vessels, Storage tanks & PP grids vacuum for belt filters that are resistant to corrosion. We are engaged in manufacturing scrubbers, PP Tower Pickings & Poly trays for dryers that are available in customized shapes and sizes at affordable rates. We offer an array of PP HOODS, DUCTS & BLOWERS with CHIMNEY & Packed Columns for Controlling Air Pollution that are technically superior & Energy-efficient.To get the best deal in the vertical.